A low voltage contractor works with electrical systems that run below 120 volts. Most often, they specialize in cabling and communication systems. You need a low voltage contractor when working with security and integrated communication systems such as audio/video, surveillance cameras, and telecommunications. But how do you choose the right low voltage contractor for you and your business? Take a look at five qualities your low voltage contractor needs to have. Your low voltage contractor will be working with mission-critical systems; some of those systems may even be the lifeblood of your company. For example, a phone system that isn’t properly integrated means missed calls, dissatisfied customers, and lost sales. So, when you choose a low voltage contractor, there needs to be proof that they’ve satisfied their past customers with quality work. See if your low voltage contractor can offer you references that include the customer names. This will give you a good idea if most of their references come from friends/family or well-known and reputable businesses. Also look and see if the past businesses they’ve worked with are a similar size and have similar needs to what you’re asking for. If you need systems integration for 30 locations and they’ve only worked with mom and pop shops, then it’s probably not the right fit. Take a look at the contractor’s website. They should have either testimonials or case studies that detail the work they’ve done for other clients. Look for reputable company names, detailed outlines of how the contractor helped the company, and continued client satisfaction. Low voltage contractors usually have a specific license and different training from your typical electrician. 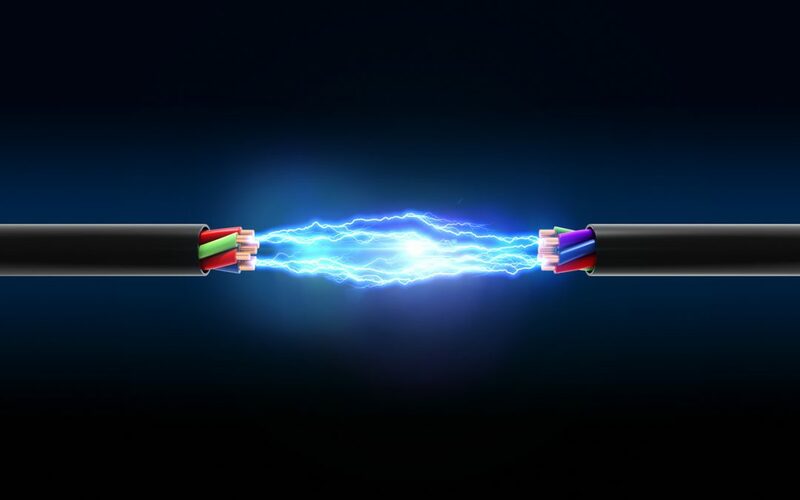 While low voltage electricity isn’t as powerful and dangerous as working with power lines, it can still be harmful if handled the wrong way. The last thing you want is for your low voltage contractor to have to make a trip to the hospital in the middle of a job. Having the proper license means the contractor has had the right training and is at a lower risk of getting hurt. Low voltage licensing varies by state, city, and county. Make sure your low voltage contractor is familiar with the law where you’re located. Despite this, most states still require low voltage contractors to carry some sort of license. In order to obtain the license, your contractor needs a number of years of experience, an educational degree, and other requirements that may vary on location. While these vary state by state, it’s important that your contractor has some sort of documentation describing his training. If your state does not require a low voltage contractor license, take a close look at the number of years they’ve been working with low voltage systems and how many master electricians they have on staff. Standardizing a network is important, as it can make repairs much easier in the long run. Oftentimes, when a low voltage contractor works with a specific company and uses only that company’s parts in installing a system, they may be able to give discounts on parts. Some companies even accredit the contractors that work exclusively with their systems. If this is the case, you’ll know that your low voltage contractor is familiar with the system, has an excellent relationship with their vendors, and does enough quality work that the company will put their stamp of approval on him. While it’s not a deal-breaker if your contractor is not accredited by a specific company, make sure that they’re standardizing your network and that all parts in all systems will work together seamlessly. The technology industry moves fast. Is your low voltage contractor keeping up with it? The last thing you want is to spend a good chunk of change on integrating an all-new communication system, and then realize that these systems will be out-of-date in less than five years. If your low voltage contractor is on top of trends, he’ll be able to guide you toward systems that meet your needs and will stand the test of time. However, how much “futureproofing” you want to do will also depend on your business goals. If you’re looking to have a cutting edge office with the latest tech, your contractor can point you in the right direction. But if you’re just looking for something that is budget-friendly and rugged, you probably don’t need AI-enhanced security cameras. Be open with your low voltage contractor about your business goals and needs. They should be able to set you up with systems that match them. Nobody likes hidden fees. An excellent low voltage contractor should be able to send you a detailed proposal that covers everything that’s expected. Now, if your contractor starts working only to find that existing cables were chewed through by mice, you can’t expect the quote to cover that. However, your quote should be fair and detailed enough to cover your systems integration should everything go according to reasonable expectation. Compare your low voltage contractor’s quote to others in the area by receiving several quotes from different contractors. This will give you a better sense of the level of detail you can expect in a quote, what a fair price is, and how your low voltage contractor compares to everyone else. Medlin Communications prides itself on its experience, customer testimonials, and vendor relationships. If you’re looking for a low voltage contractor that checks all of the boxes, contact Medlin. By turning to Medlin, you’re trusting a partner who can help you select and install the right technology solutions, all with a complete view of your system. Take Medlin’s free network assessment today to receive an 8-10 page report on your IT pain points.